Prompted by a book I read over the weekend (see post 21), I watched The Secret for the first time yesterday & had a moment of clarity when the gratitude stone was mentioned! Something which I’d not thought about in a long time, but which I’ve carried in my handbag for years – my own favourite stone. 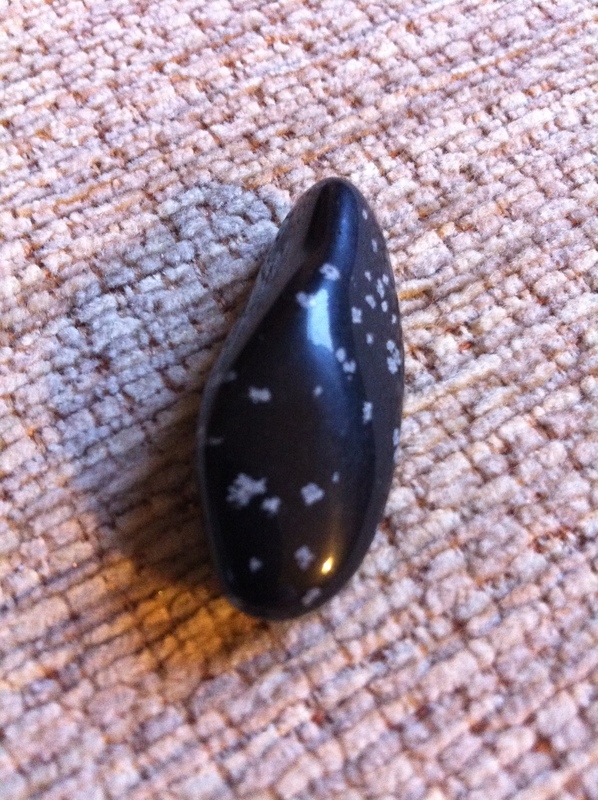 This is a gorgeous polished & smooth piece of Snowflake Obsidian, bought because it immediately felt right, that it was mine. Nearly 10 years ago I had attended a Mind & Spirit event at the local town hall with a spiritual friend of mine, more in support of her, than of any interest myself. I’ve always been open minded & found everything fascinating & even had my first Reiki session there. I can honestly say I’ve never felt so relaxed & at peace during my treatment as the noisy hall, busy with visitors just faded into the background. It was definitely an enlightening & memorable experience. Whilst browsing the stalls, I was drawn to the polished gem stones as I love tactile, smooth objects. I remember that each stone had a meaning, but chose this one because it just felt right for me. It rests perfectly in my hand, on my first two fingers with a soft curve just perfect for running the ball of my thumb up & down. 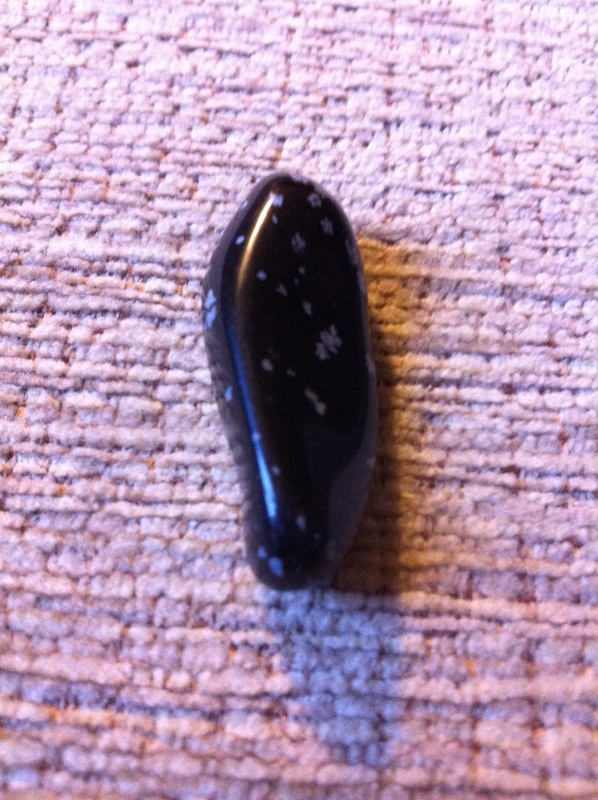 Apparently Snowflake Obsidian is a stone of purity, it will calm & soothe, balance mind, body & spirit. It teaches the value of mistakes as well as successes & helps to recognise stressful mental patterns. That’s all good as it’s now my gratitude stone & never far from my hand.